What's so great about an SSD? - Sewelltech, Inc.
What’s so great about an SSD? 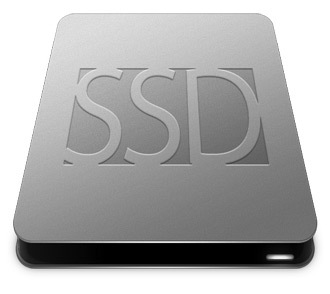 SSD (short for solid state drive) has the same functions as the traditional hard drive. It stores all of your data files on interconnected flash memory chips that retain the data even when there’s no power present. What are the benefits of replacing my current hard drive with an SSD? Solid State Drives feature a non-mechanical design of NAND flash mounted on circuit boards, and are shock resistant up to 1500g/0.5ms. Hard Drives consist of various moving parts making them susceptible to shock and damage. SSDs use significantly less power at peak load than hard drives, less than 2W vs. 6W for an HDD. Their energy efficiency can deliver longer battery life in notebooks, less power strain on system, and a cooler computing environment. Flash-based SSDs weigh considerably less than hard drives – only 77g vs. 752.5g for HDDs. SSDs won’t weigh down your notebook when you’re on the go or your desktop when rearranging your office! Though still a higher price/gigabyte than hard drives, SSDs offer cost savings in the long run for businesses with lower energy usage and greater productivity with higher Input/outputs Operations per Second (IOPS). One SSD delivers the performance of 100 hard drives. As an energy-efficient storage upgrade for your desktop or laptop, SSDs require very little power to operate that translates into significantly less heat output by your system. With no moving parts, SSDs run at near silent operation and never disturb your computing experience during gaming or movies, unlike loud, whirring hard disc drives. ALWAYS remember to backup your data! If you do not have a backup in place, contact us for a quote for our own Sewelltech Online Backup (SOB) solution!